Here are the five basic principles to building customer communities globally, and the widely available tools you can implement them with. If there was ever a truly global phenomenon, Star Wars is it. In the weeks leading up to the premiere of the latest movie in the franchise, there was much discussion online about the different international trailers. While some were presented as the “last trailer before the movie premieres,” many trailers kept popping up in different countries like mushrooms after the rain. In the world we live in today, information can’t be contained in one country anymore. Once it’s available somewhere, it’s available everywhere. How Disney handled the pre-release of the film is a classic example of how many traditional businesses have not yet adapted to the global nature of information and technology. While the Internet has morphed us into what some would call a global village, cultivating a successful global community presents many challenges. Entrepreneurs with global businesses who want to grow and cultivate their customer communities in different corners of the Earth, must be aware of this new reality, and adjust accordingly. Here are the five basic principles to building customer communities globally, and the widely available tools you can implement them with. The first step to cultivating a global community is identifying who is interested in what you have to offer, and who might be. Figuring out where your traffic comes from and defining new target markets for growth has never been easier thanks to Google Analytics. This tool provides incredible insights on your business’ reach and audience, while empowering you to turn these insights into practical steps you can take to advance your business. It offers both free solutions to help smaller businesses grow and premium analytics, which provide in depth observations for larger companies. If you aren’t using Google Analytics yet, start by exploring the (fairly wide) variety of free solutions to get a better grasp of what’s working for your company and what you can change in order to improve and enable growth. An important step of building communities in different countries is adapting your product to local users, primarily by offering your services/content in their local language. Unbabel gives companies the ability to scale up and expand easily by offering translation services that combine AI with human translators. Unbabel can be used to translate blogs, product descriptions, emails, landing pages, FAQ articles, support emails and any other content produced by a company. Unbabel’s service works by taking customer texts and translating them using artificial intelligence. Once an initial machine translation is completed, human translators receive the translation and, with the help of the software, edit for inconsistencies. Unbabel’s use of AI enables it to process large amounts of text extremely quickly, which is crucial for a company on the path to expansion. The use of human translators, on the other hand, ensures high quality translations with nuance and attention to cultural sensitivities. Unbabel offers a variety of packages for companies of any size, including a subscription service for companies that require recurring translations. Since expanding into new markets almost always means translating into a new language as well, the ability to communicate ideas effectively in multiple languages is extraordinarily important when aiming to go global. 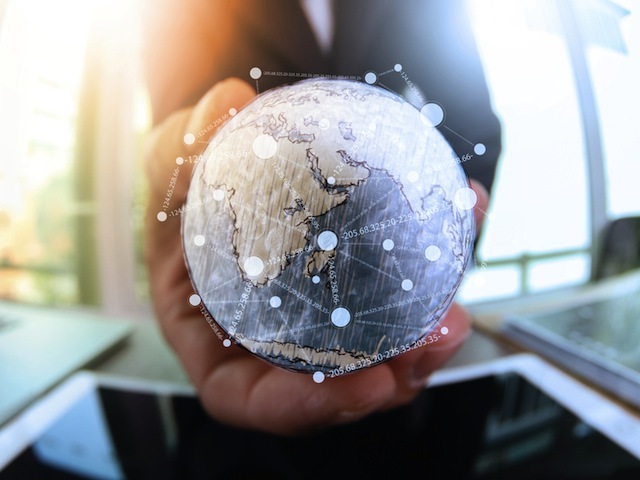 A major issue that small businesses encounter when handling global communities is the need to accept payments from a growing number of customers, in different (and often fairly far away) locations. Stripe is a great example of a simple solution for accepting payments online, either via websites or mobile apps. Using a simple line of code, web developers can add Stripe to any site or app to make it their payment processor.